From monuments and historical buildings to castles and palaces - there is much to explore in Basel and the surrounding countryside. Our elegant chauffeured limousine service will be pleased to take you to the Red Town Hall, built in 1504 in the style of Burgundian Late Gothic, to the Tinguely Fountain and to the famous Basel Paper Mill. Separated by the Rhine River, Basel’s Altstadt is located in Grossbasel (Greater Basel) and in modern Kleinbasel (Lesser Basel). A walk through the beautiful old town is an absolute must. Basel is host to many important annual fairs and every year in June, the world's most important international art fair, Art Basel, is held there. 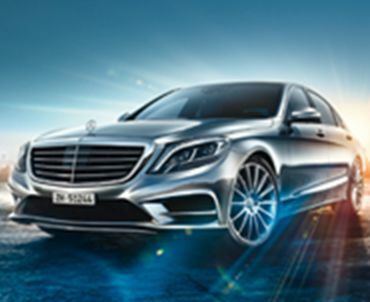 Our professional chauffeurs are ready to make your visit to Basel a most memorable experience. When you select our elegant limousine service for your business or personal travel needs, you can choose between vehicles in the modern business or in the first-class range. We offer different kinds of transfers, such as airport transfers or trips from A to B. For longer trips or city tours, our chauffeurs and vehicles are available on an hourly basis. If you just have a few hours of free time in Basel, we will be happy to arrange a short city tour. Your chauffeur will be at your disposal on an hourly basis. We also offer spacious, comfortable minivans for groups of up to eight people. We'll bring you to your destination safely and on time, ensuring you're comfortable and confident when you step out of our vehicle. Our reservation team is available 24 hours a day, 7 days a week, 365 days a year. Simply send your booking request by email or give us a call. Select one of the two options: transfers or rent by the hour. Let us know where the guest would like to be met, the destination, whether the reservation is for a transfer or the number of hours chauffeured transportation services will be needed. Choose the ideal car from the various vehicle classes we offer. Several payment options are available: credit card, transfer or invoice. Contact us and we'll be happy to assist you. We look forward to seeing you. TOP-ALLIANCE AG - Airport and City Service in Basel. Services in the listed cities are provided by TOP-ALLIANCE and/or our partners.